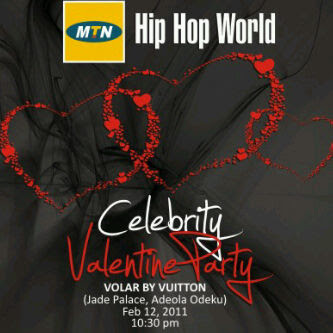 Come mingle and share moments with the industry's finest at the Hip Hop World Celebrity Valentine Party taking place on February 12, 2010 at Volar by Vuitton VI Lagos. Enjoy as DJ, Sose, Dj Vinne and DJ Tee yes DJ Tee dish out great love tunes for your pleasue. It will be a love affair like no other. Don't be told, be there!! !